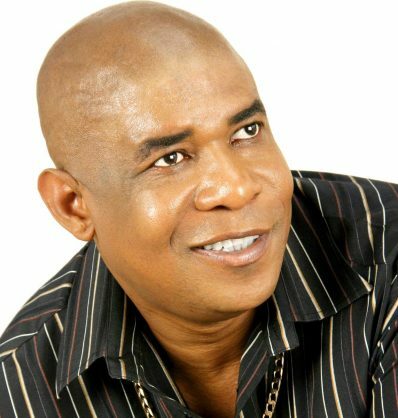 Music fans are in mourning on Saturday after news broke that musician and producer Dan Tshanda passed away in Johannesburg after suffering heart failure at age 54. He was reportedly certified dead on arrival at Sandton Mediclinic after suffering a heart attack. News sites from African countries, particularly Zimbabwe and Botswana, where he was very popular, have also been reporting the news, with fans from across the continent tweeting messages of their loss. Many of his local fans criticised South Africans for not celebrating Tshanda as much as neighbouring African countries do. He once said Dalom music will die with me. Just five days in the new 2019, the Southern Africa has lost a musical giant who relocated to Botswana from South Africa. May the soul of Dan Tshanda rest in eternal peace. #RIPdantshanda. One of Botswana’s leading newspapers reported on Saturday evening that they confirmed the death with a family spokesperson. Moudy Modzielwana also told The Voice Online in Botswana that the musical icon suffered the heart attack at around 1pm in the afternoon. “He was rushed to hospital where he was certified dead upon arrival. The doctors confirmed that he passed on after a heart failure,” he was quoted as saying. The family will release details of any remembrance and funeral arrangements in an official statement later. According to music site music.org.za, Tshanda was born in Chiawelo, Soweto, though this report claims (apparently more accurately) that he was born in Venda and moved to Soweto. After dropping out of school and working as a newspaper vendor for an Afrikaans newspaper and then as a taxi driver, he made a demo cassette of his early music with his first band. Under the name Splash, Ray Phiri of Stimela fame later agreed to feature them as their support act whenever they had shows. Splash’s first album, Peacock, was very successful in 1986. It was followed by numerous others. “His music has crossed the borders into African countries such as Zimbabwe, Botswana, Namibia, Swaziland, Nigeria etc, and abroad, with activity in North America, Australia, England, France,” says the site. First they were three: Dan Tshanda, Penwell Kunene and Joseph Tshimange. Last picture we took in 1999 with Dan and Penwell as Matshikos. Sad Day – South African Musician and Music Producer Dan Tshanda has sadly passed away. The king of splash's music was popular with many Bulawayo natives.